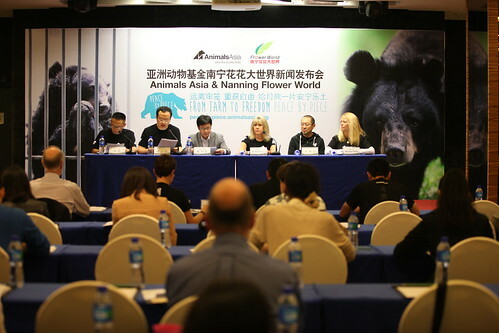 The historic agreement announced yesterday for Animals Asia to take over Nanning Bear Farm was one year in the making – now complex rescue plans are being finalised. The first priority will be 28 of the sickest bears that will be transported 1,200km to Animals Asia’s Chengdu sanctuary to be treated. The team will arrive in Nanning (pictued above), on May 4 with health checks on the 28 bears starting the following day. Each of these bear will be anaesthetised, checked and then put into a transport cage ready for the trip. Then they will be loaded onto a seven- truck convoy. This will take three days and by May 8 the Animals Asia team anticipate being able to start the long trip home – driving through the night with rotating drivers. Their bus leading the convoy - stopping only to feed bears, themselves and for the occasional toilet stop. They anticipate being back by May 10. “On the journey back to Chengdu our team will take care of the bears ensuring they have sufficient food, water and enrichment. 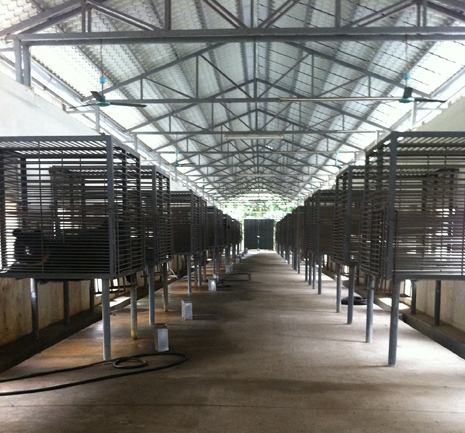 With around 100 bears remaining at the bear farm – Animals Asia staff will also be working with the farm employees from the outset to improve the bears’ lives ahead of the sanctuary conversion.